We wanted a simple stress free build. Adam helped us with the house plans and everything in between. He communicated with us throughout the entire process which gave us us peace of mind. They were always on time and the work site was kept clean. Adam even followed up after our build was completed just to make sure were 100% happy. We have a nice new home that we know is built to the standard that was promised. We wouldn’t hesitate to recommend Adam and Peter and the AJ homes team to anyone. It has been said that building a house is one of the most stressful times in your life! Well, we wanted it to be an exciting and enjoyable time and that is why we chose AJ HOMES LTD to build our new home. We knew pretty much what we wanted and after spending time discussing this with Adam and Glen (AJ Homes Ltd architect) plans were drawn up. We didn’t rush this process as we wanted everything to be right before we started the build (you don’t want to be changing things half way through construction). AJ HOMES Ltd commenced work on 13 November 2014 and within 18 working days the roof was completed and the house fully wrapped. The following working day saw us with our very own front door and the windows being installed. AJ HOMES Ltd is so well organised & managed that if we were told something was happening on a certain day it actually ended up being done a day early! All the sub-contractors were on site when expected and did excellent work. 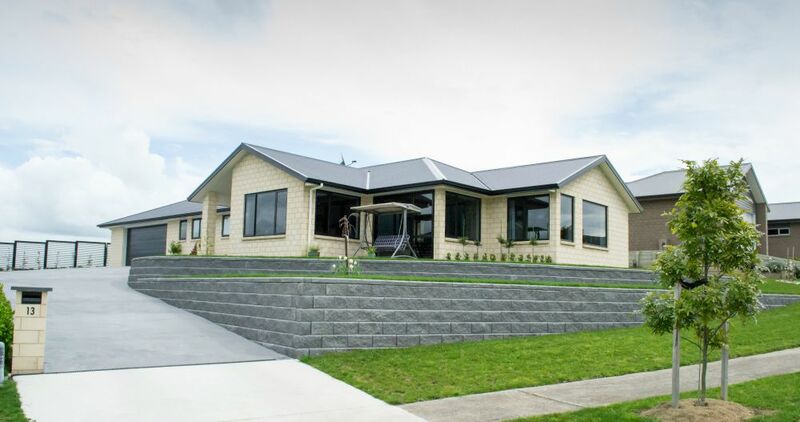 Not only did AJ HOMES Ltd build us a beautiful home, but they also did retaining walls, landscaped out the back of our house for us and put in concrete mowing strips and a fence with a gate in it. 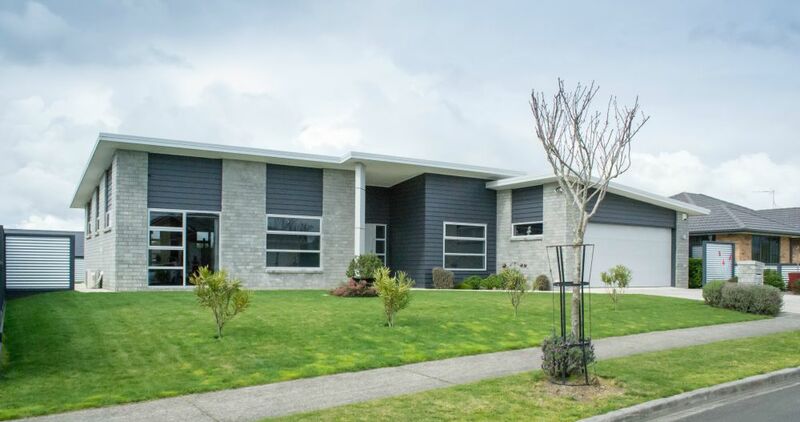 Our home was completed 12 March 2015 (63 working days) and we moved in on the 14 March. Not that we plan on building again, but if we did we would definitely use AJ HOMES Ltd. Would we recommend AJ HOMES Ltd to our friends – without hesitation. We just love our new home and my parents were so impressed AJ HOMES are now building them a new home. I don’t know if you could get a better recommendation than that! AJ HOMES LTD – QUALITY HOMES AT AFFORDABLE PRICES – you Betcha!! 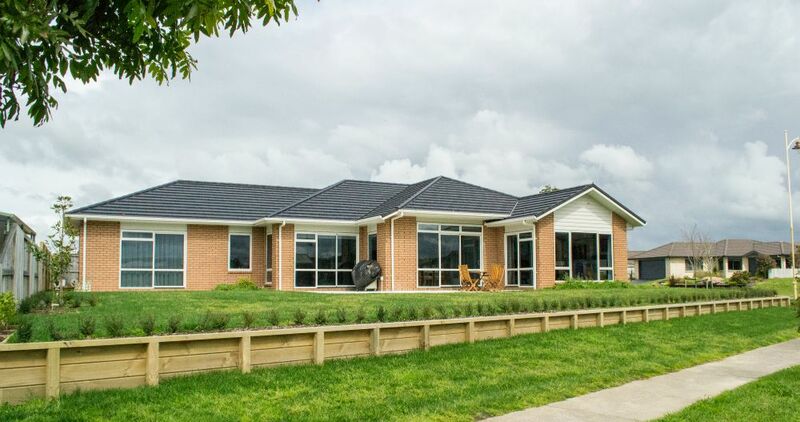 We, Allan & Glennis Carter, (after due diligence) approached Adam Graham principal of A J Homes Ltd; builders of Morrinsville, to, upon our behalf source a Site in Morrinsville acceptable to ourselves and thereupon, under a total a contract agreement, design and build a new residence. The brief was fairly open, required was a three bedroom residence, modern and stylistic, one that would offer all the expected creature comforts, whilst at the same time would ensure minimal maintenance going forward, all to be achieved within an indicative budget. Essentially we were desirous to be supplied with a product that met with our standards, one that would make a statement within the location, whilst ensuring always that the whole process was to be achieved without any inherent stress to ourselves. Resultant is that the completed build has, in presentation, achieved to expectation, our brief met, and in all aspect exceeded. Adam and his immediate team, Peter & Mark proved attentive and competent in all facets of the build, remaining professional and readily approachable in regard to any perceived issue throughout. I can assure without any doubt whatsoever that any persons anticipating a build would in selection of AJ Homes Ltd be assured of quality, coupled with professionalism & competence throughout any anticipated project.